Derived from Blue Frost by Apexified. 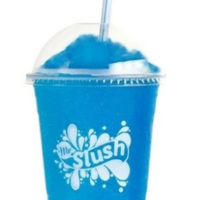 It's a perfect, vapeable blue raspberry Slurpee, an improvement on the already awesome Blue Frost recipe. If you like OSDIY Blue Raspberry Slush or blue raspberry anything at all, I think you'll love this; it takes everything about that flavor, levels it up, and freezes it cold. FW Pink Champagne and CAP Hibiscus hit that textural component of syrup mix and fine ice excellently. But the main difference between this and the previous version is that instead of having to imagine the cold, it's really there, without any off-notes. WS-23 truly is amazing, I think I might be getting hooked on it as well.